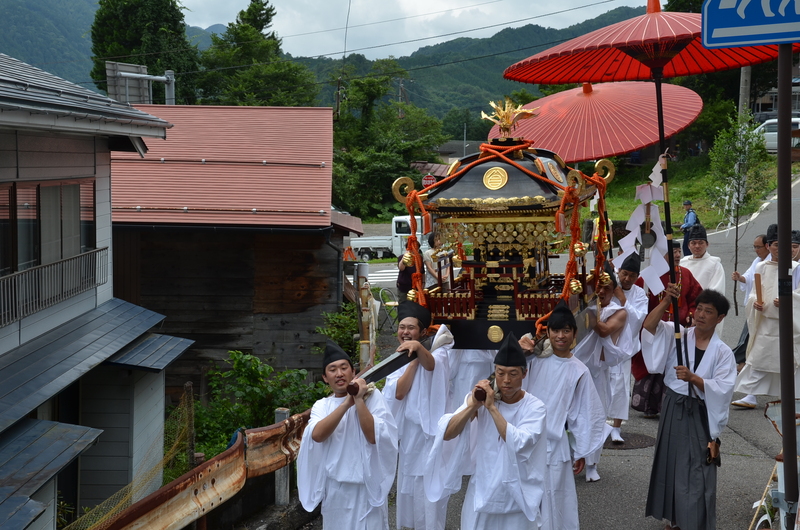 Otaki’s summer festival, the Reitai-sai takes place over two days every year at the end of July. 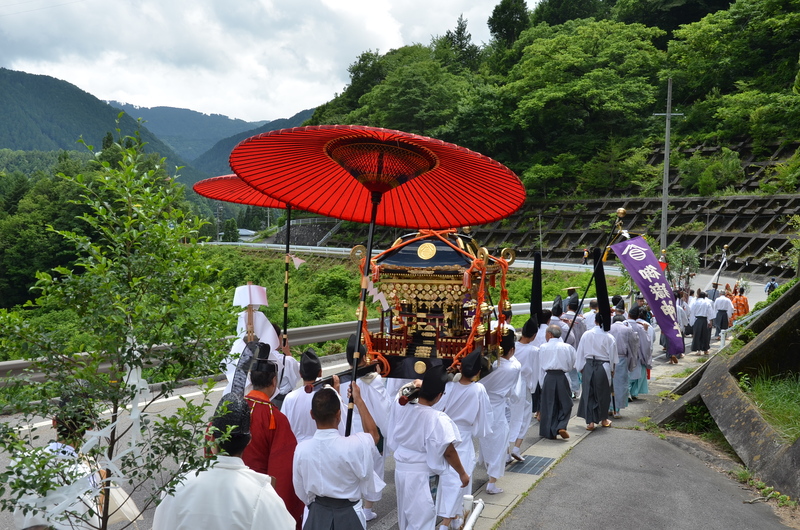 It starts off with ceremonies at Ontake Satomiya Shrine, followed by a long procession of villagers in colorful costumes parading down to the village. 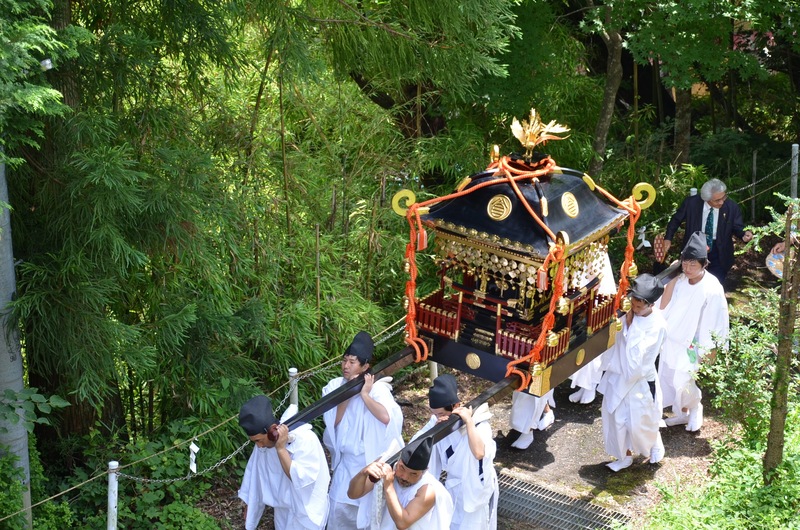 A group of young men dressed in white shoulder an omikoshi, or portable shrine, bringing the god of Satomiya down to the atmospheric Hachimando Shrine in the village proper. 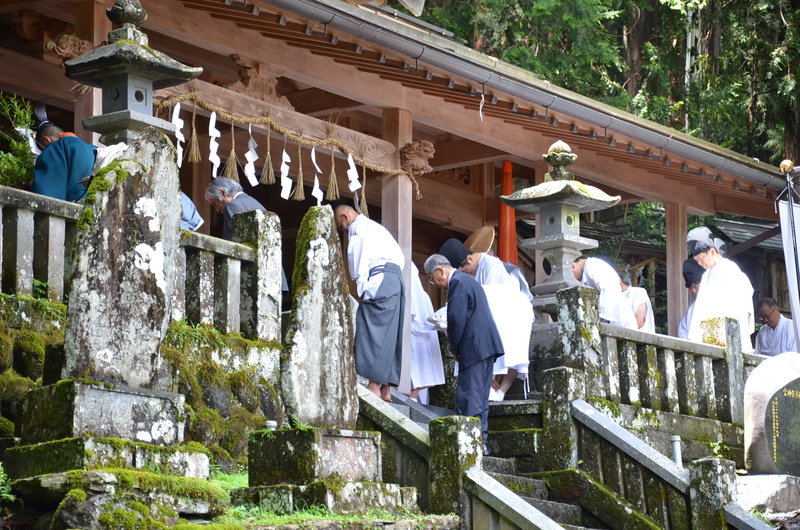 This follows a common pattern in Japanese festivals: bringing the sacred down from the mountain to the village to be honored. 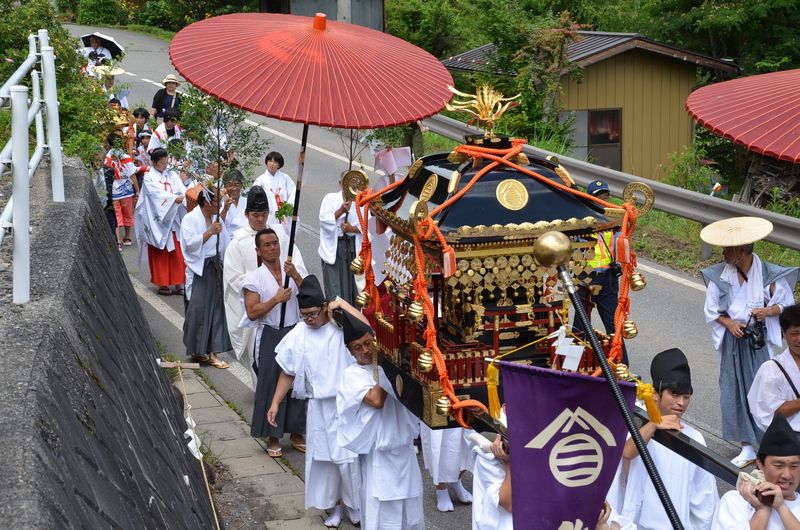 Carrying the portable shrine, dressed in priests’ garb. 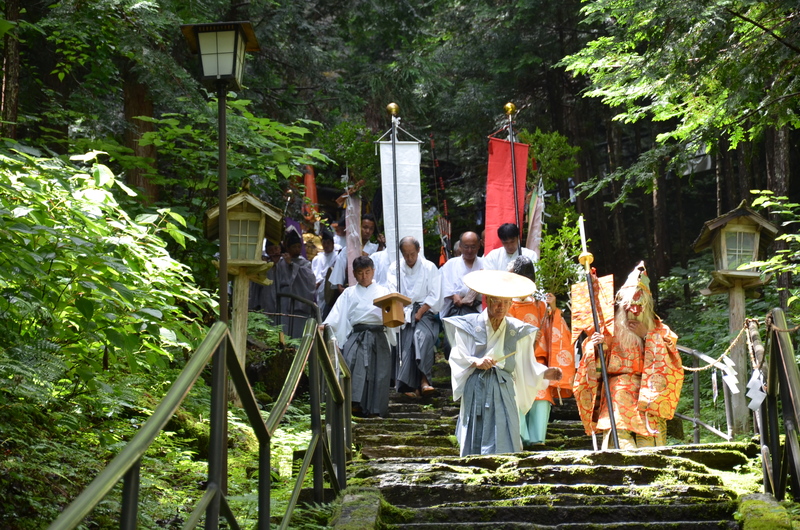 A number of ceremonies and performances take place in the evening, including kagura, ancient Shinto ritual song and dance. 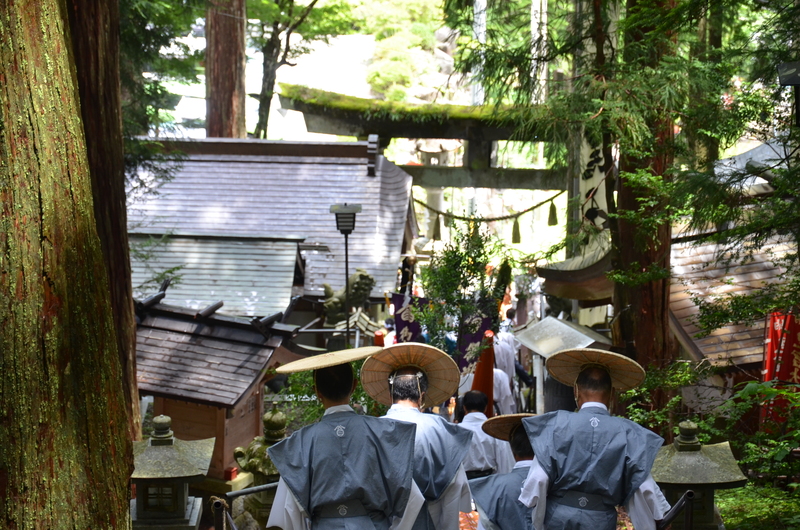 One of these is known as the Sanken-no-mai, a sword dance associated with Shugendo, an ascetic mountain sect. 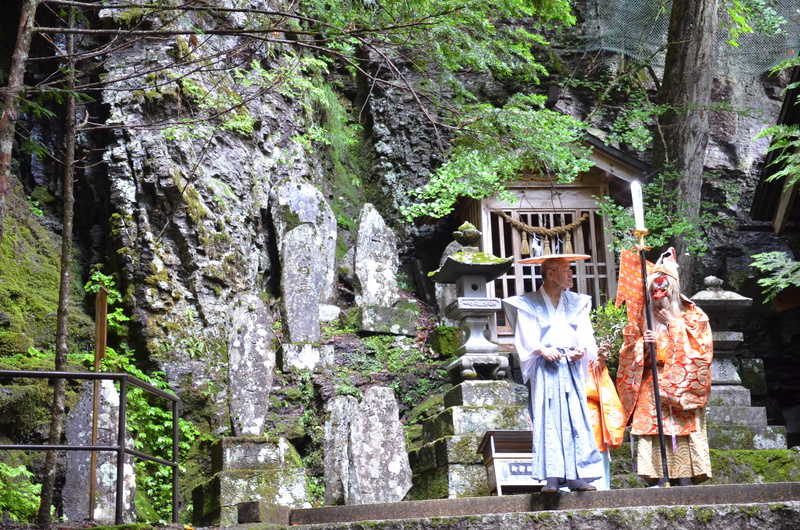 The Shishin-gohen-pai Kagura performed here, originally from nearby Agematsu, honors the four directions. 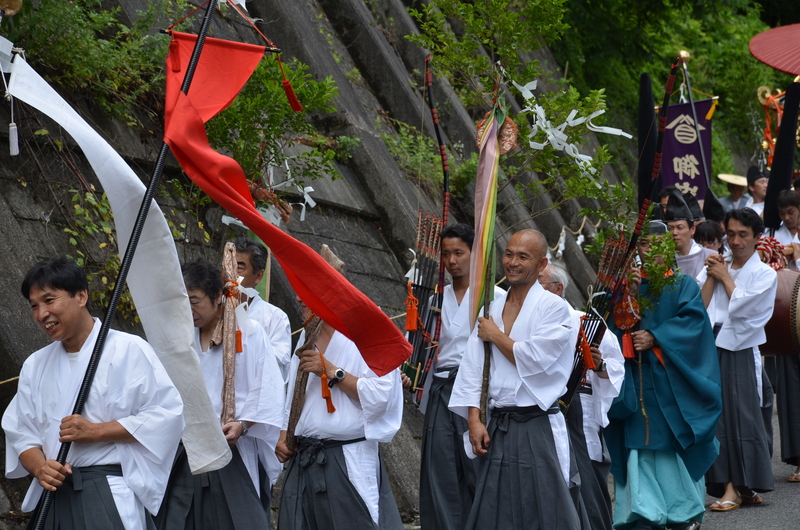 It’s been declared a national Intangible Folk Cultural Asset. 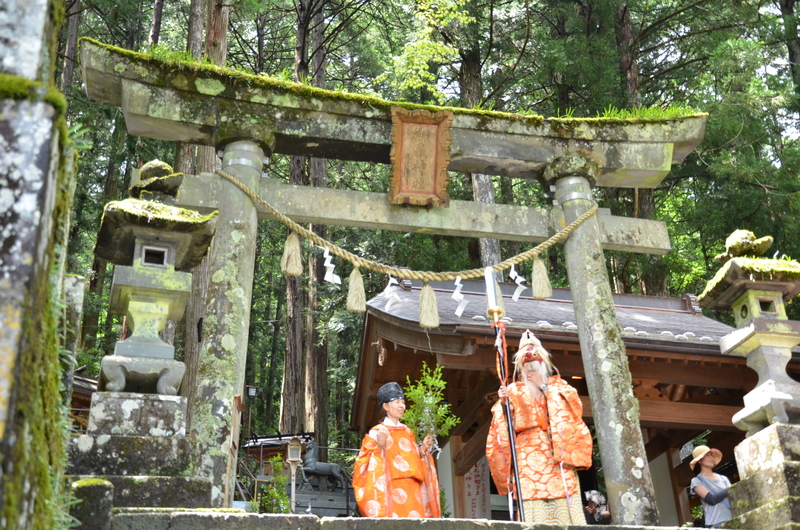 The opening dance called Miko-mai was originally performed by shrine maidens. 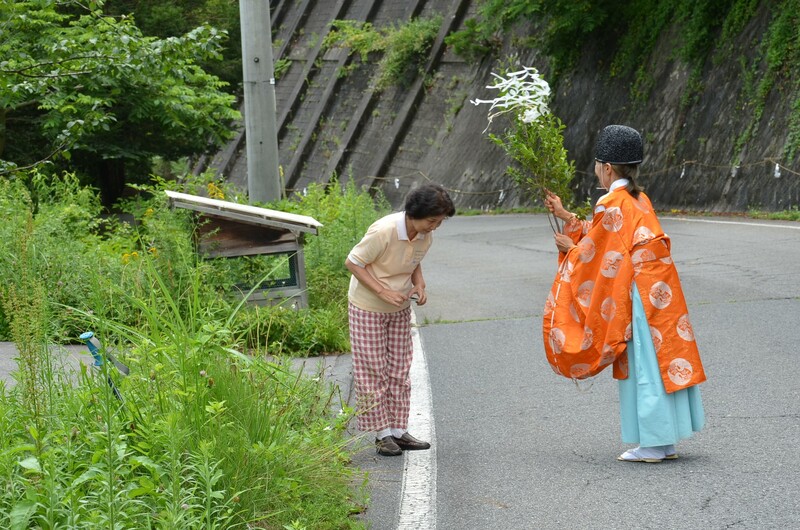 Now young village girls have the honor. Just before the sword kagura. 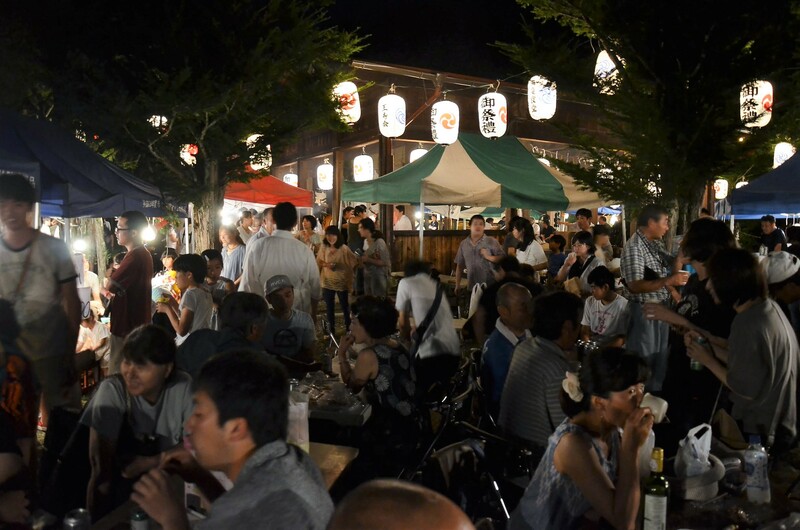 Much of the village gathers for the festival, and stalls serve the standard festival fair, like fried noodles, yaki tori (skewered chicken), and tako yaki (octopus dumplings). This is backed up with free sake and lots of beer. A fireworks display takes place later in the evening after the performances finish. 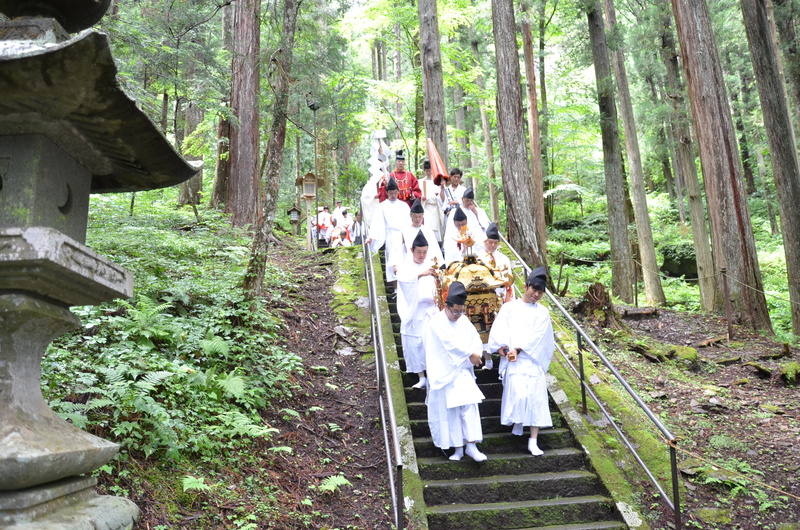 The next day the villagers carry the shrine back up the mountain to Satomiya Shrine, returning the gods to their regular abode where they’ll remain another year.